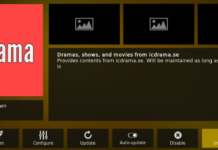 What Is KissAnime Kodi Addon? As the name suggests itself, KISS+ANIME, one can easily understand that this might be a hub of Animations? Isn’t it? Yeah, you got it right. KissAnime Addon is one of the best and most popular addon for Kodi to watch all sort of animation videos, movies, dramas, TV Shows and short films. KissAnime Addon provides it all in High Definition so it does not matter if you have budget TV or high performance TV, you are always gonna enjoy it. KissAnime Addon has been developed and maintained by “HIGHWAY99”, the same group as Kiss Cartoon and KissAsian. Biggest feature of KissAnime Addon is that it suggests you the videos based upon your previous behavior on Kodi so you will never get bored. The source of all videos of this addon is its official website at “KissAnime.ru”. KissAnime Kodi video add-on is available at “SuperRepo repository “ which contains over 2,200 Kodi add-ons. 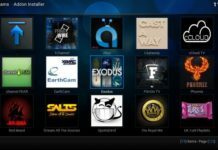 Kodi, check out our beginner’s guide to Kodi. Disclaimer: This guide is intended to help readers access content, they already have purchased the rights to access, but are for whatever reason unable to access either temporarily, or permanently. techfela.com does not support software piracy, and bears no responsibility for what you decide to do with the contents of this article. Furthermore, please note that techfela.com in no way hosts, develops, or produces any of the software mentioned within this article. For more information, please see our full disclaimer here. Features of KissAnime Kodi Addon? In the main Menu on left side, click on the category Add-ons. Next, proceed to the settings. Get there by clicking on the gear icon. Click On Add-ons. Now you will be given options, choose Unknown Sources and turn it on. You will get warning message, simply read and, click YES. If you use Android Device, you might have done the same thing there too. It will allow Kodi 17 to run 3rd party addons too. Return back to Home Screen and click on Folder Icon. Move to File Manager. Scroll down and click on Add Source. You will now be asked to give it a source. You will see a ADD FILE SOURCE. You will now need to add a remote address to download addon. Enter this URL exactly : http://srp.nu/ and hit Done. You need to give it name now so that you can know what it is. The default and global name of this should be SuperRepo. Hit OK.
Now return to the home screen and select Add-Ons. Click On the Box Icon and select Install from zip file. Wait for few seconds. A popup saying “Add-On Installed” will appear. Now click on Install from repository and select SuperRepo All. Wait for few seconds again and it will say “Add-On Enabled” like message. Now, go back to Home Screen and go to Add-Ons > KissAnime to use it. Start by Openng Kodi Dashboard. On the home screen, hover your mouse over System heading, and click on File Manager. 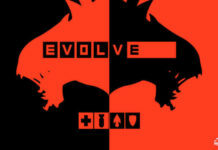 Enter the exact URL : http://srp.nu/ and click Done. Name it as SuperRepo and click OK.
Return back to Home Screen and hit SYSTEM heading. Click on the Add-Ons in the left side. From the options provided, select INSTALL FROM ZIP FILE. Now you will see a Add-On Enabled notification. Click on the SuperRepo All. Now move as directed Videos > Video add-ons > KissAnime, and Install. Go back to Home Screen and go to Videos > Add-ons > KissAnime to start watching your favorite animations. We hope you followed the exact procedure based upon your need. If you are running Kodi Krypton, please follow the first one guide to install KissAnime APK and if you are running Kodi Jarvis, you will have to follow the exact procedure in second guide. If you are still facing any problem related to KissAnime Mobile, feel free to drop a query on the comments section below. Also, thanks for visiting and spending you valuable time with us. Hope you got your answer. Keep visiting TechFela for latest updates on Kodi. Have a great day. After all was said and done, KISSANIME was not an option at the end of the install. already instaledd in my kodi try the search feature came up with no results …. is it still working?